The U.S. Department of Energy Solar Decathlon is a program that challenges collegiate teams to design, build, and operate solar-powered homes. The solar homes are designed to blend affordability, consumer appeal and design excellence with optimal energy production and maximum efficiency. 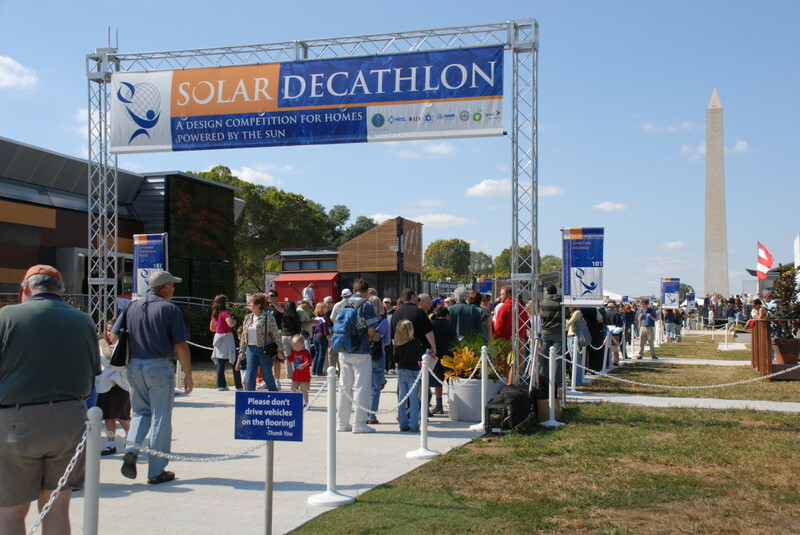 WPPSEF supported the Pennsylvania university teams that participated in the Solar Decathlon in 2007 and 2009. Student teams work to design and construct the home on their campuses. The homes are then disassembled and transported to the competition site – the National Mall in Washington D.C. Homes are judged by a national panel of experts and are opened for tours to the general public. The homes resided on the National Mall for approximately 8 days. WPPSEF provided support to the Carnegie Mellon University TriPOD home in 2007, to Penn State’s MorningStar home in 2007, and Penn State’s Natural Fusion home in 2009.